People who suffer from severe persistent asthma usually experience asthma symptoms throughout the day on most days and have frequent symptoms at night as well. These symptoms tend to limit one's physical activity. 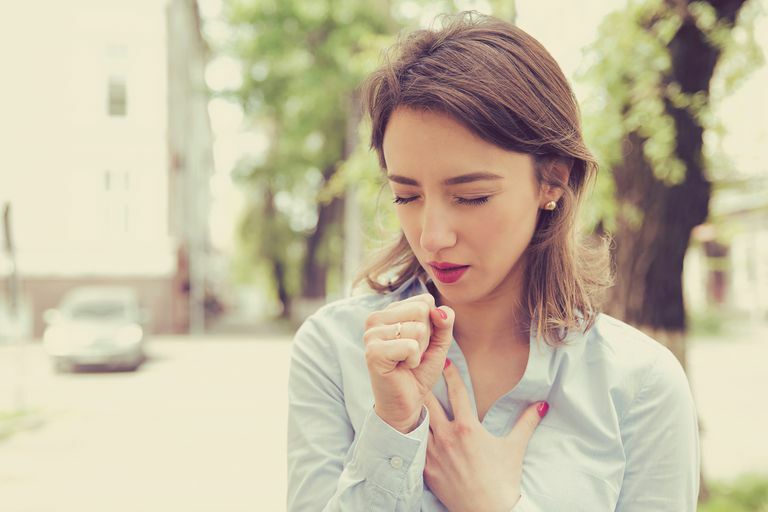 It is important to note that a person in any asthma category can have severe asthma attacks, not just those suffering from severe persistent asthma. Classification may change over time and asthma in children younger than 4 years old is difficult to diagnose and classify, as symptoms may be different from asthma in older patients. Symptoms occur two days or less per week and do not interfere with normal activities. When not having an asthma attack, lung function tests are normal (at 80 percent or more of the expected value) and vary little from morning to afternoon. Symptoms occur more than two days a week, but not every day, and nighttime symptoms occur three to four times a month. Lung function tests are normal when not having an attack (tests are 80 percent or more of the expected value) and may vary a small amount from morning to afternoon. Nighttime symptoms occur more than one time a week, but do not happen every day. Lung function tests are abnormal and varies more than 30 percent from morning to afternoon. Long-acting bronchodilators and a quick-relief medicine (short-acting beta agonist or bronchodilator). This additional medication is used (as needed) to relieve acute symptoms by relaxing tightened muscles around the airways. Severe persistent asthma may additionally be treated with anti-inflammatory medicines known as “leukotriene modifiers." These are taken in pill form and are used in combination with the other medications. People with asthma may find that their severity of asthma fluctuates over the years. As severity fluctuates, so does medication and treatment, with the ultimate goal being to keep asthma under control. The goal of treatment for severe persistent asthma should be to control and reduce symptoms to that of intermittent asthma. Anti-Inflammatories: Leukotriene Modifiers. U.S. News & World Report. Fact Sheet: Treating Asthma. The American Academy of Allergy Asthma & Immunology Task Force. The Allergy Report. AAAAI.org. How Is Asthma Diagnosed? National Heart Lung and Blood Institute, U.S. Department of Health and Human Services, National Institutes of Health. Needs Assessment Report 2007. National Heart, Lung, and Blood Advisory Council Asthma Expert Working Group.